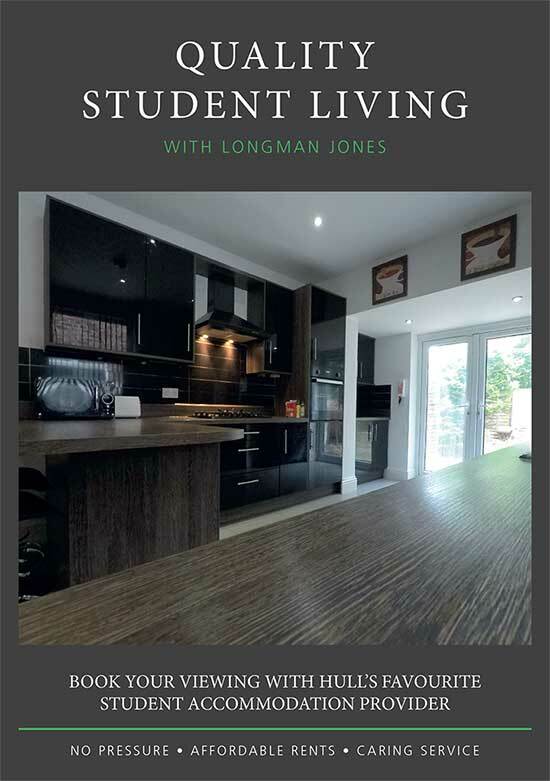 Specialising in accommodation for Hull University Students Longman Jones is proud to be one of the largest and most experienced landlords and managing agents in the city with a well earned reputation for the highest quality of service and select, top of the range properties all within a maximum 15 minutes walk from the Cottingham Road campus. More and more students are recommending Longman Jones to their friends because of our reliable friendly service. Our management systems and quality of property portfolio are second to none. We can accommodate single bedroom tenants looking for rooms in shared houses or one bedroomed or two bedroomed flats, groups of students wanting three bedroom, four bedroom, five bedroom and six and above bedroom properties. Whatever your personal requirements contact us either by email or ring our office for expert friendly help.